This sheet if tickets may be printed and distributed or used by you. To enter just print off the sheet. 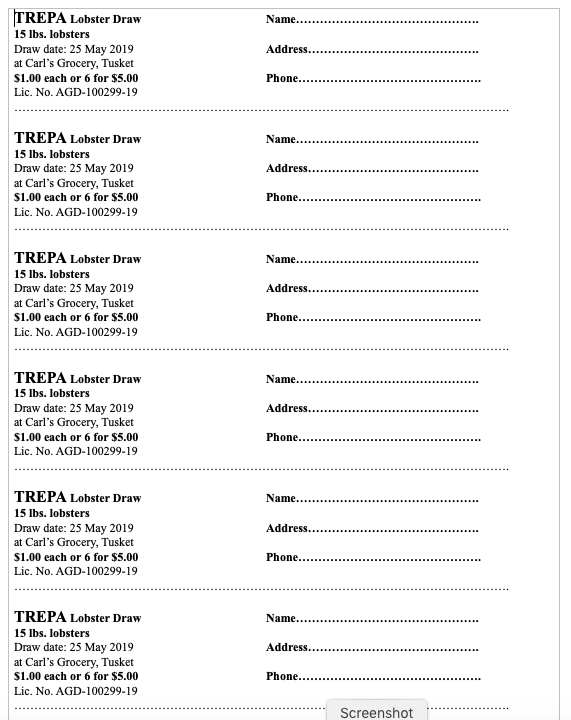 Fill out information and mail to TREPA, Box 103, Tusket NS BoW 3M0. Cost is $1 per ticket or 6 for $5.